IPhone X is the latest addition to the iPhone family. It&apos;s fragile. The screen display is the entire size of the phone which is not just huge but is something being done by Apple for the first time. The internal storage being 256 GB is huge and almost next to impossible to be less for anyone. The battery life is better than that of the predecessors but still not that great. The price of the phone is another thing which is almost out of everyone&apos;s pocket range reducing the market size for the phone. It is probably the best iPhone ever made. With such an amazing display which feels too royal to hold in hands, it is a gem to the eyes. You cannot get enough of it’s features. Face ID unlocks instantly making it an altogether new experience. In love with the beauty of it’s camera and design. Surely a pick, if only your pocket is heavy. The best iPhone ever made. With such an amazing display which feel too classy to flaunt in hands, it feels so good to eyes. You cannot get enough of it’s features. Face ID unlocks at good speed. In love with the beautiful camera and design. But is too costly. Surely a 10 on 10 phone in every aspect, except the price which costs too heavy to the pockets $999 for a phone. But it is really beautiful design and display is fantastic. Love the Face ID feature. Glass back makes me feel scared to drop. Wireless charging is plus point. In addition to the beautiful full vision display, the Face ID in place of Touch ID is amazing. In love with the face emojis a new feature. Camera is as usual wow. Wireless charging is new to iPhones. Over priced. 43 Pricebaba users have written their experience with Apple iPhone X 256GB. If you own Apple iPhone X 256GB, please do leave your feedback too. 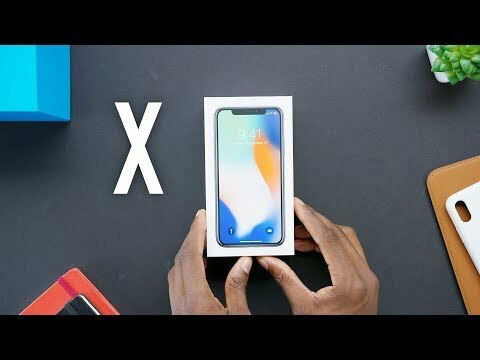 Lowest price of Apple iPhone X 256GB price in India starts at Rs. 84,900 Apple iPhone X 256GB is available on Flipkart at Rs. 84,900 and on Amazon at Rs. 84,990. Prices updated on 21st April 2019. Apple announced the much anticipated iPhone X during its 10th anniversary event. It marked Apple’s entry into the futuristic tech world with ground-breaking features and sheer construction and design standards. Let’s look at what the prestigious phone has to offer. Apple has come a long way in its design evolution. The iPhone X boasts of an edge to edge immersive bezel-less display screen. It measures 5.8 inch and the OLED screen type gives accurate and stunning colors. It features TrueTone display and 3D touch. The top of the phone has a tiny space that houses some advanced technology sensors like accelerometer, proximity sensor, barometer, gyrometer and ambient light sensors and face recognition that enables Face ID. The phone features a glass and stainless steel construction which makes it robust. Apple manufactures stunning cameras in its devices. The iPhone X comes with dual lens camera system with Optical Image Stabilisation. One is a 12MP wide-angle camera with f/1.8 aperture and the other is telephoto with f/2.8 aperture. The telephoto camera enables optical & digital zoom up to 10x. Apart from the camera system, the X offers various new camera features like Portrait Mode, Portrait Lighting, True tone flash with slow sync, BSI, Hybrid IR filter, Noise reduction, Burst mode and Auto image stabilisation.It also offers a host of video recording features like 4k, slow-motion, timelapse and also 6x digital zoom.The front camera termed as TrueDepth camera comes with a 7MP sensor and f/2.2 aperture. Portrait mode & Portrait lighting is added here as well.The phone comes with a single nano sim card slot and ships with 4G LTE, WiFi, Bluetooth and NFC features and an Apple lightning connector. The iPhone X is powered by Apple’s latest and powerful A11 Bionic hexa core processor. It is energy efficient and thus improves battery life. The processor has an impact on everything that happens in the inside.It increases the performance of the phone and powers Augmented Reality. It runs on the latest iOS11 with some new features and intuitive gestures. The iPhone X is IP67 rated water and dust resistant. The iPhone X packs a massive 2716 mAh non-removable battery. Apple has improved the battery life which lasts for about a day due to the power efficient A11 chip. Wireless and fast charging on iPhone X is a feature most people were waiting for and it finally showed up in 2017. It can charge upto 50% in 30 minutes. The iPhone X doesn’t have a home button which means no fingerprint scanner as well. There is facial recognition sensor that enables the user to unlock the phone through face ID securely.